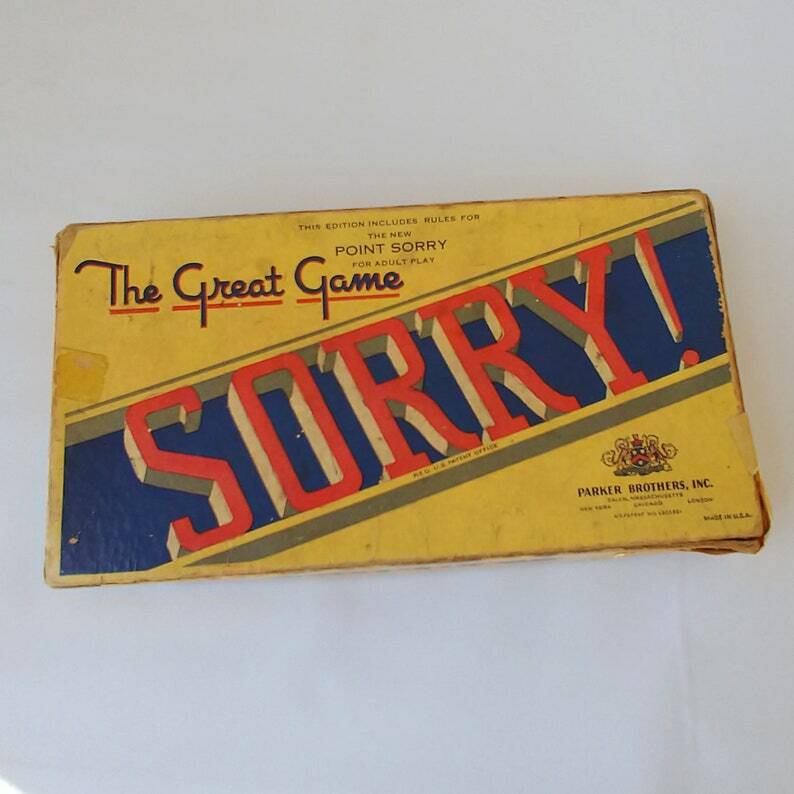 This “Great Game Sorry!” includes a deck of playing cards and wooden game pieces in a beautifully aged box. Showing years of age and use and amazing vintage graphics, this Parker Brothers game box has 42 playing cards and 15 game pieces in blue, green, red and yellow. One of the green pieces is missing from the set. The box is 7 1/8 inches by 3 ¾ inches by 1 inch. CONDITION: The box, the cards and the game pieces all show a history of many games played. The box is taped on one corner and there is yellowed tape on the bottom and sides where the box was once taped shut. The cards are softened from use and the colors are wearing from the pieces. No instructions are included.